When you are going outside for some sports and exercises, don’t forget to prepare yourself a rain jacket. You never know if the day is going to rain or not – we all know that the weather forecast is not always accurate. When the day suddenly goes raining, a rain jacket will keep you dry and safe. 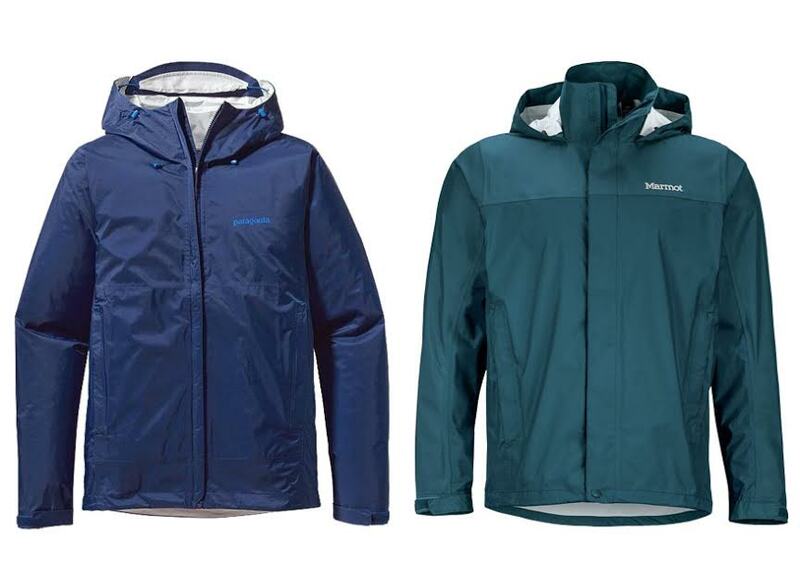 There are two rain jackets that have been so popular for a long time: Patagonia Torrentshell and Marmot Precip. How do the two compare against each other? Which rain jacket is best for you? Patagonia Torrentshell is usually a little bit heavier than Marmot Precip because of the two-layer construction. Well, Patagonia Torrentshell features what it calls as a 2.5-layer waterproof and breathable H2No Performance Standard shell. Basically, it consists of a polyurethane inner layer and an outer shell that is made from nylon with the H2No technology, hence the “2.5-layer”. On the other hand, Marmot Precip is made from the NanoPro nylon ripstop. There is a DWR coating on the surface that creates the waterproof layer. Patagonia Torrentshell provides several color variants for men and women. There are blue, black, nouveau green, chromatic yellow, fire red, oaks brown, and forge gray as some of the available choices. Marmot Precip is available in an even wider range of color variants. There are various colors with different intensity levels, such as mosaic blue, blue night, blue sapphire, orange ochre, sunset orange, deep olive, and slate gray. We certainly expect Patagonia Torrentshell to have better comfort due to the extra layer. However, truth to be told, polyurethane is not a truly breathable material. As the effect, it may not be more comfortable than Marmot Precip, or at least not significantly. But it can be somewhat warmer in the cold days. Marmot Precip is lightweight and breathable, but the nylon material is not the softest thing on the skin. Having multiple layers, Patagonia Torrentshell is somewhat more durable. The waterproof performance is good and durable. Compared to Marmot Precip, Patagonia Torrentshell does not soak out as quickly. It lasts for a longer time. On the other hand, Marmot Precip can soak out pretty quickly, especially if you sweat a lot and don’t clean the jacket regularly. The sweat and oils can peel and crack the laminate layer. We recommend you to choose Patagonia Torrentshell. It is simply more durable and will last for a longer time.